Members of White Dragon Judo Club conducted a judo self defence demonstration with the Mighty Kids Ministry of Peoples Community Christian Church on May 18, 2015. Sempai Demonn Smith was joined by Matt Davis and Robert Handshy in a demonstration of practical judo techniques for self defence. The 40 minute demonstration consisted of defending against strangulation, kidnapping, and sexual assault. After the demonstration, Sempai Smith answered various questions from the parents and the youth group. Sempai Smith stressed that the techniques shown are simple and with practice could save a person’s life one day. If you would like to know more about judo and self defense classes at White Dragon Judo Club, feel free to checkout our website and Facebook pages. We look forward to hearing from you and we will see you on the mat. 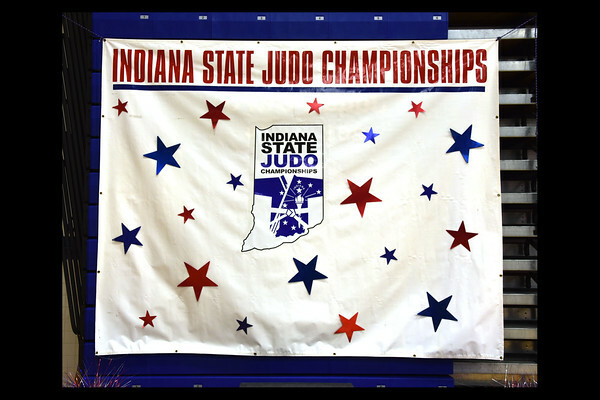 The 31th annual North/South Judo Tournament took place at the Family Sportplex in Belleville, Illinois on Saturday, May 16, 2015. Sensei Derek Wellman officiated the event. The coaching staff for Team White Dragon was Demonn Smith, Andrew Lazarz, Jay Baker, and Anthony Weeks. Demonn Smith was the lone representative for South judo team in the team competition. The North narrowly defeated a game on South judo squad 6-5. The North retain the rights to the North South trophy. Anthony Darevsky took silver in his weight category. Reisin Riley made her tournament debut a memorable one. Her superior athleticism got her a hard earned silver medal. Devin Busch took gold. Issac Valdez de Soto showed no signs of mat rust after his brief hiatus on his way to a gold medal finish. In the senior division, Sam Coln fought extremely well but failed to reach the medal stand. Anthony Weeks got a bronze. Bat Unur “The Batman” Erdenebayer played in the most exciting and talented division of 66kg. It was never a dull moment with this judo player as he earned a well deserved silver. 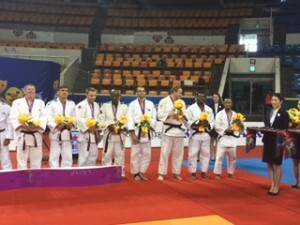 Demonn Smith rounded out the team with a silver medal showing in the super heavyweight weight category. It is that time of year again where the best judokas in the nation make the pilgrimage to Irving, Texas to make their dreams a reality. 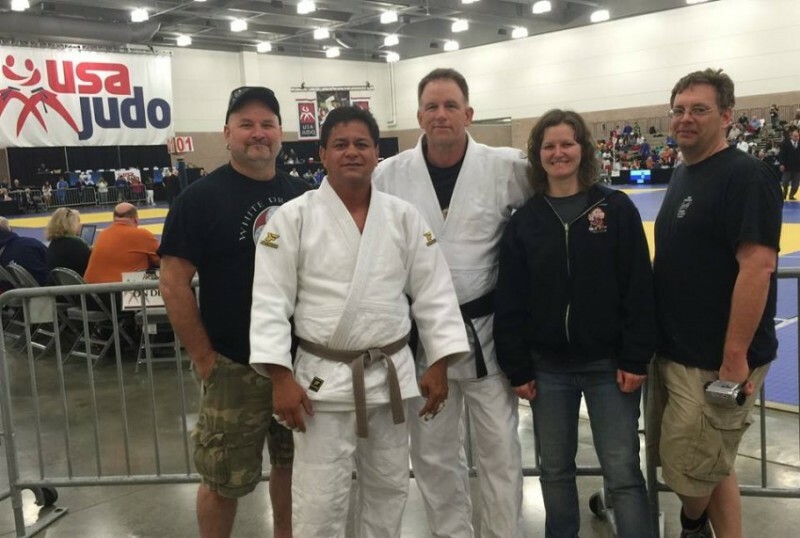 The Irving Convention Center was the site of the 2015 USA Judo Senior National Championships on May 2-3, 2015. 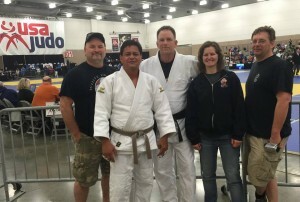 A trio of judokas from White Dragon Judo Club represented the dojo well with two making their USA Judo National Championship debut. Andrew Lazarz and Blair Watts took the honor of being the designated coaches for this tournament. Lou Paez rounded out a brown belt division filled with up and coming talent. Paez made the best of his debut with a 5th place finish. Anna Feygina reeled off one of the best performances of her decorated judo career. Feygina went 3-3 on the day, good enough for a 5th place finish. Dan Raney was the only judoka to crack the medal stand. Raney showed off his superb newaza in a very experienced and well skilled Master’s 100kg class. The bronze medal was placed around his neck after posting a 2-1 record for the day. 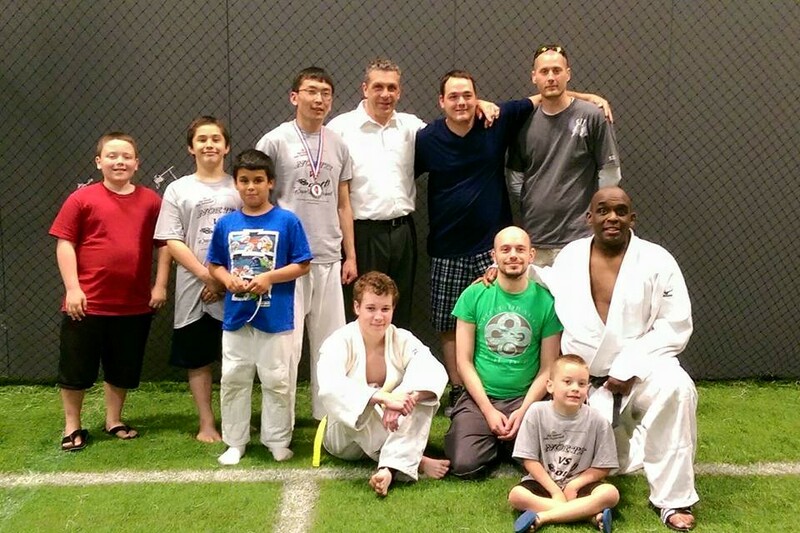 Nestor Figueroa was the special guest instructor for Monday Night Judo on April 20, 2015. 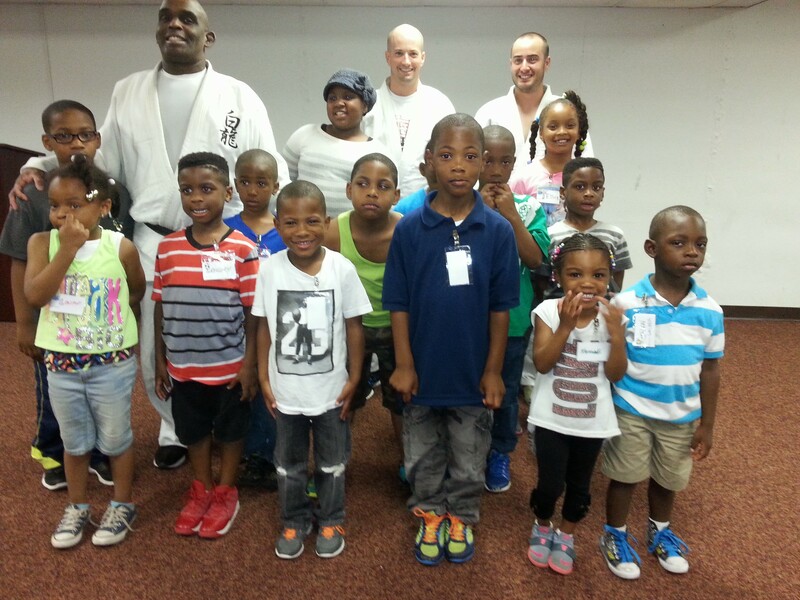 Sensei Figueroa was a former judo instructor at White Dragon Judo Club during its infancy. The native Peruvian was also the head judo instructor at the Sinchijudokan Institute in Saint Louis, Missouri. 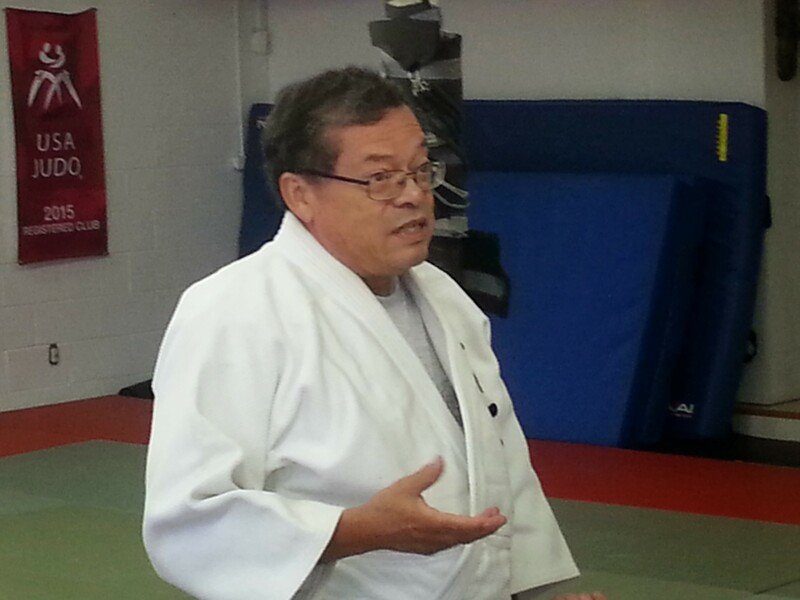 Sensei Figueroa has been studying judo for more than 50 years. Sensei Figueroa theme for Monday’s practice was BASICS. During the practice, Sensei Figueroa stated that today’s judo was getting away from the traditional Kodokan Judo that has been practiced for generations. He stated that most judokas are about winning and not concentrating on doing the techniques correctly to get to that point. During the practice, Sensei Figueroa helped fine tune and made all of our judo students aware of the little things that yield big results. Our judokas left this practice knowing that a quality practice is composed of working on the BASICS. The 2015 Missouri State Judo Championships got underway at the Kansas City North Community Center in Kansas City, Missouri on March 21, 2015. The contest was sponsored by Missouri Judo Inc. Andrew Lazarz and Eugene Hamilton coached a White Dragon Judo team balanced on experience and athleticism. 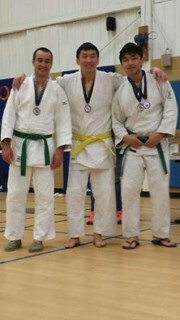 In the seniors division, Matt Davis showed steady improvement to take bronze. The Batman, Bat Unur Erdenebayar had his gold medal streak broken in this tournament but won silver. 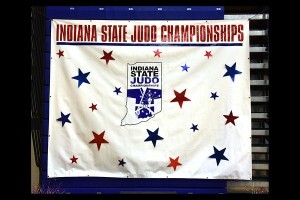 Anna Feygina steamrolled through a talented senior female division and won her first Missouri State Judo Championship. Adnan Gutic is on a gold medal rampage. His splendid technique won him a gold medal in the seniors and masters weight classes and a silver in the open division.